The past year has seen some awesome and exciting developments made to the bike trails in Morzine, most noticibly on the Super Morzine side of the hill. The replacement of the Pleney cable car last summer made access to the Pleney side of the hills difficult, however the new Pleney lift is now up and running and with massively increased capacity for riders and their bikes, we are more excited than ever about the coming summer. We are still waiting for news on the Summer 2014 opening dates for the Pleney lift and how many bikes/people it will carry, but we can confirm it's going to be very fast, much bigger and there are no awkward steps to push your bike up, meaning you can roll on and roll off. It's all gearing up to be much better than expected, and will make the eagerly awaited 2014 summer season one that you can't miss! While the replacement of the Pleney lift made access difficult, it put the attention on the Super Morzine bike trails, which have seen some fantastic new trails being built, with lots of new features and improvements to popular existing trails thanks to some amazing work from the guy's at Avoriaz MTB. We think the Super Morzine trails are as much fun if not better than the Pleney trails. If you didn't manage to make an appearance during the 2013 Mountainbike Season in Morzine here is a teaser on what you've got to look forward to in 2014 Summer MTB Season. From the top there are two options, the Red trail goes straight into some free flowing berms with a few small jumps or nips over into the woods and then both join straight into the new road gap which was made into a Red size gap half way through the season. You can then choose to continue straight over the road into the Red or go right and down towards Hattok. Halfway down the trail after more fast flowing berms there are two table tops of a decent size that lead into a small hip jump that continues down the hill. These new features really add some fun to the track and keep it interesting for all abilities. Slightly further down the trail there are some large tables that are great fun and a good spot to tune up those jump skills. Most of this trail has been completely re-built or is new and we think it's awesome. Following on from these tables the track splits in to the woods and out across the Zore piste, it then returns into the woods for some tight corners with great banked berms. This is a wickedtrack which is great fun for all abilities. 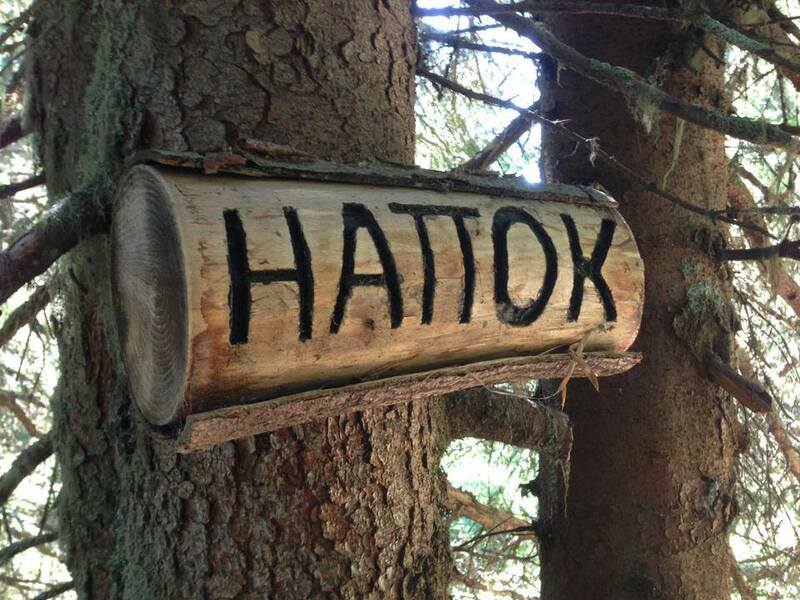 The Super Morzine Black trail, Hattok had some serious work done towards the end of the summer in 2013. The first developments being some new corners and small steps which come up almost immediately as you enter the woods. If you are not familair with this trail, you can find it by taking a right after the Red trail road gap, and then look for the entrance going into the woods on your left. After these steps there are a few corners followed by a rooty road gap. There has been some work done to the roots before the gap and the landing has been smoothed out so it really is a beauty you've got to try! The boys from Avoriaz MTB building the lip for the road gap, check those roots behind them, hold on tight on the run in. From here the trail leads around to the left and down towards the new set of doubles, these are fairly big and tricky to keep your speed for but awesome once you get the hang of it. There are two of these doubles straight after a fast left handed berm. Continuing down the trail, a new step up and some corner work has been done making the track a whole lot better. The work the guy's have put in on these trails is awesome and you need to ride them to appreciate it. The step up offers up a tasty 10/15 foot gap and easily done with the correct speed from a small road gap just before. Leading down from here there are a few more corners before the steep exit out onto the fire track and back down to the lift or through the woods into some epic single track and down to the town of Morzine. 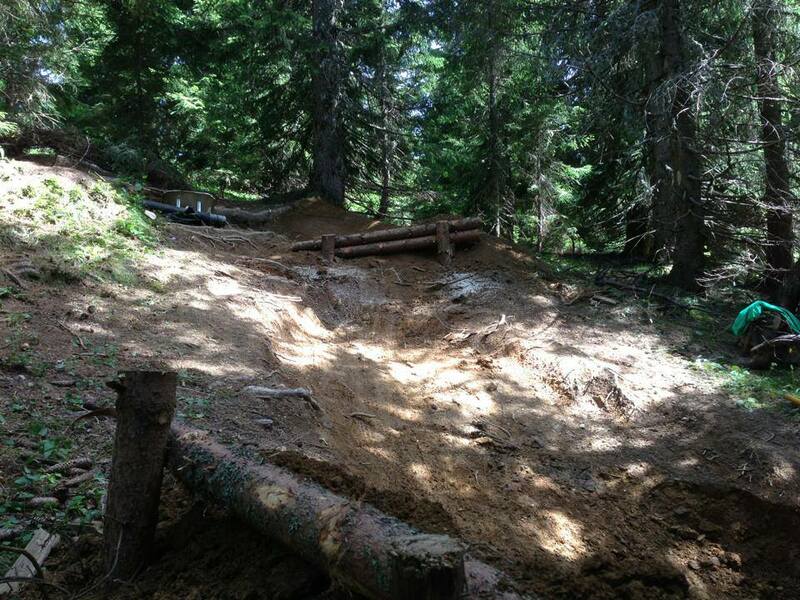 This is just some of the work that has been done on the Super Morzine side of the hill, lets just hope that the trails on the Pleney get some good attention to go with the new lift over there. If you want to come and ride these trails we have some awesome accommodation on offer, including self catered apartments to large chalets with hot tubs and saunas. All properties have secure bike storage and bike wash facilities near by. See the following link to our self catered accommodation in Morzine for the summer. We also offer our clients a 10% discount on bike hire and return airport transfers including bike carriage for €30 Euro each way from Geneva airport to Morzine. We hope to see you out in Morzine during the 2014 summer season, if you have any questions drop us an email, we are always happy to share our knowledge and answer any question you have.